What form did the opposition take at the beginning? What did Sanballat and Tobiah hope to accomplish with their mocking? How might we face similar types of opposition today? Have you encountered verbal opposition before? If so, when? reminded the Jews about their past rebellions and the consequences. It was a veiled threat that king would be angry with them for this job. You see, Satan doesn’t care about the truth. He is called the father of lies. The king had already given his full support to this task. But that doesn’t matter to Sanballat. He tries to manipulate and twist the truth to instill fear in the people. Nehemiah responds – Nehemiah takes it upon himself to respond for the people. His answer is not complicated. He simply states his belief that God would give them this success. God is the God of heaven and His authority and power are far above Sanballat and his friends. Second, Nehemiah reiterates their decision to arise and build. They are not going to give in to the temptation of discouragement or fall for Sanballat’s lies. Thirdly, Nehemiah states that he doesn’t care anything about Sanballat’s opinions. They have nothing to do with each other. Sanballat is not welcome there. He is not a Jew. He is not their authority. He does not have their best interests at heart. Therefore Nehemiah doesn’t need him or want him around. Application: We too may face opposition to the work God wants us to do. Sometimes this is in the form of discouraging words or pressure from our friends or family. Do not be surprised! Do not expect that everyone will cheer for you and congratulate you when you make sacrifices for God. They will not. It may have seemed noble to the Jews to stop focusing on their paneled houses to rebuild the wall. They may have expected a pat on their back for their sacrifice. But they didn’t get one (at least not from everyone). Neither should you expect to receive the validation of unbelievers around you when you make sacrifices for God. They will laugh at you and call you crazy. Do not focus on what they have to say. Instead remind yourselves, that you serve the Lord first and He will give you success provided you are following His will. Do not stop building God’s kingdom! Do not sit down and become a passive believer. That is what Satan wants. It is not what God wants. Why does Nehemiah list out so specifically each person’s name and where they were working? What observations do you have about this chapter? What kinds of people were working on this wall? Can we learn any lessons from them about unity? Teamwork? Working even though it wasn’t their talent? Why did they each do it in front of their own house? Why may Nehemiah have arranged it like this? Proverbs 16:3 – Commit your works to the Lord and your plans will be established. Proverbs 18:19 – Whoever is slack in his work is brother to him who destroys. Genesis 2:15 – God put Adam in the garden to work there. 2 Thessalonians 3:10 – If anyone is unwilling to work he should not be allowed to eat. 1 Thessalonians 4:11 – Live a quiet life and work with your hands. 1 Corinthians 15:10 – I worked harder than any of them. 1 Corinthians 12:20-25 – Many parts one body. 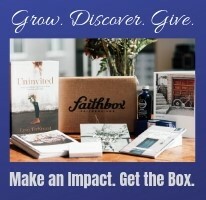 1 Peter 4:10 – As each has received a gift, use it. 1 Corinthians 1:10 – I appeal that there be no divisions among you. Verse 2 – Eliashib, the high priest arose, together with his brothers arose and began the work. Notice that even the high priest joined the task. He is the first one mentioned and I think that is significant. It shows that Nehemiah though his example was important. Imagine how difficult it would be for Nehemiah to rally the people to build the wall if the high priest did not support it. The high priest set a good example. He also did not consider that he was too important to help. He himself did the work. He didn’t send servants to do it for him. Building a wall is a dirty job. It’s hard work. It’s not glamorous. Eliashib was willing to dirty his hands because it needed to be done. Application: Neither should we consider a God given job is beneath us. Whether the job is washing dishes, taking out the trash, or changing a diaper, we should humbly do our part and help with those jobs. Verse 5 – Not everyone supported the work. Some nobles of the Tekoites did not support it. That didn’t stop the Tekoites to build it. They did the task because it was the right thing to do. God is our final authority and if He wants us to do something, we should do it no matter if others support us or not. Verse 8 – Notice in this verse that both goldsmiths and perfumers worked on the wall. Perhaps goldsmiths had some talent in the area of building, but perfumers? Let’s face it. Building a wall was probably not their strength or gifting. Perfumers is something like the modern day health and beauty sector. They designed sweet smelling perfumes for weddings, rich people, or religious ceremonies. It is likely their hands were soft and they were used to gentle work. But here they are way outside of their comfort zone building a wall. Application: We should not refuse to do work for the Lord with the excuse that “It is not my gifting.” There are certain things that God wants every believer to do. Sharing the gospel, discipling other believers, worshiping God, praying, memorizing Scripture, serving in the church, etc. 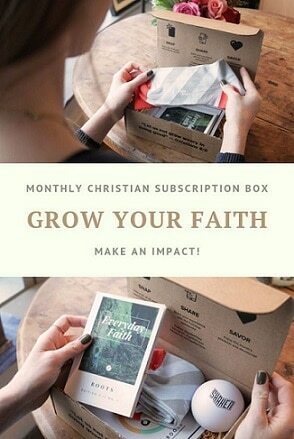 are a few examples of things every believer should do. You may not be as good at it as others, but you still need to do it. God may want you to do something way outside of your comfort zone, but you still need to do it. Verse 12 – Here we see even some women got involved in building the wall. Everyone has a task and everyone can help. Verse 20 – Do you notice anything special about Baruch? Whereas Nehemiah lists each person and says that they repaired their section of the wall, he says that Baruch “zealously” repaired his assigned section. Why did Nehemiah insert this word here? Clearly Baruch’s diligence made an impression upon him. Everyone was working, but Baruch stood out. Application: He is an example we can aspire to. Whatever task God gives to us, we should do it zealously. It’s hard to imagine zealously repairing a broken down wall, but Baruch did it. He likely had a smile on his face. Maybe he whistled or sung. He likely took fewer breaks than others. He likely worked harder than others. It’s a good goal to be one of the workers. It’s an even better goal to be an exceptional worker for God who is zealous for his task. If a book was written about your work for the Lord, what would it say? Would it say you rested all the time? Would it say you cared more for your comfort and convenience than for finishing the job? Would it say you were a worker who did just enough to pass by? Would it say you were a good worker? Or would it say you zealously worked for the Lord? Which kind do you want to be? Then arise up and build for God! Verse 23 – Many people were assigned the area right in front of their house to build. Why? It was smart of Nehemiah to divide up the labor like this for several reasons. They would also want their families to be safe so wouldn’t want the wall next to their house to be the weak link where attacks may come. Nehemiah was organized – This chapter is not the most exciting chapter in the Bible. Yet it shows us an important point. The Bible is based on the lives of real people, is written about real places and real events. From this chapter we can see that Nehemiah was a very organized leader. He took the work seriously. He didn’t just send people out randomly to build the wall. He didn’t say, “there is a stack of stones, everybody get to work.” From this chapter we see again that he had a plan. His plan was very detailed. The people mentioned in this chapter were likely the leaders of their sector and may have had more helpers. Each person was responsible to make sure their sector was done and done well. Nehemiah wisely delegated that authority so he didn’t have to personally oversee every single detail, which was in fact impossible. It is a good example of teamwork – Here was a group of people including men and women, spiritual leaders and laymen, white collar and blue collar workers, talented and unskilled workers, old and young, all working together. Working together didn’t mean they were each doing exactly the same thing. Within the task of building the wall, there would be many different tasks. Some would including carrying stones, cooking, cutting wood or stones, making mortar, architectural design, gate-builders, people who watched over the beasts of burden, etc. Being a team doesn’t mean every person does the same thing at the same place and time. It means that each member of the team works together for a common goal. They support and encourage each other. Are you on a team? What is your role on the team? Are you doing it? In fact, we are all on the team. The church today is similar in some ways to those building the wall at that time. There are certain things all of us do (like sharing the gospel). At the same time each of us has a gifting from the Spirit to better accomplish the specific things that God wants us to do. We are working for the same common goal. We may face opposition from within and without. But we must not give up. Instead we must zealously do the work God has prepared for us. Work is good – I noticed this week on John Piper’s website (desiringgod.org) he says, “I don’t want to be a comfort-driven, pleasure seeking, entertainment-addicted Christian.” It seems many people in the world today are allergic to work. Just a little exertion will tire them out. They think they need lots of sleep and lots of rest. A cold will sideline them for weeks. We should not be like this. Work is good. God’s original plan included work for Adam and Eve. Both physical work and spiritual labors for God are good and important. God even designed our consciences to understand this. Imagine you rest and take it easy for the whole week and someone asks you what you did that week. Will you excitedly and pridefully say, “I rested this week!” Or will you be kind of embarrassed that you didn’t do anything? You see, when we accomplish things we feel a great sense of accomplishment. We know that we have not wasted our time away. Our life here on earth is short. Let’s use our time wisely. Let’s arise up and build for God! One day when you face God and give a report of your time on earth hopefully you will have a lot more to say than “I got plenty of rest!” Actually heaven is described as a place of rest. You will have all of eternity to rest. You can rest later. My point is not that you can’t rest now. No one has the energy to work all the time. 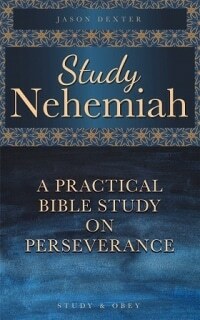 The question is not do you ever rest, it is if you have the right balance.E-book: If this study is helpful for you, get the whole Nehemiah study in one convenient e-book.